I am going to try to participate longer than I have previously, but I will be going out to lunch and to a movie with Mom today (we're seeing The Circle). That's why I'm starting at the official start time...7:00am my time. I had planned to go to bed earlier last night, but...oh well. Okay, so what I'm reading...not much of a stack, but I still have a lot of The Historian to read to finish it by Sunday night, but I probably won't focus on just it during this readathon. I'm a pretty slow reader anyway so I'm being pretty optimistic with these. I really went all out on the snacks this time. I wanted to cover all of the bases. I forgot to put my hot and spicy peanuts in the picture. As far as drinks go, I'll have coffee in the morning and then drink Crystal Light most of the time (lemonade). I may have a glass of wine too. Well, I wish everyone luck. I created the button up top. Feel free to use it/share it. Also, if you're looking for some fun, check out my Cat Thursday post, The Stages of a 24 Hour Readathon. I've been book blogging for...it will be eight years in August. I'm mom to two teen boys and two cat daughters. I work from home. I write. I'm very active in the book blogging community. 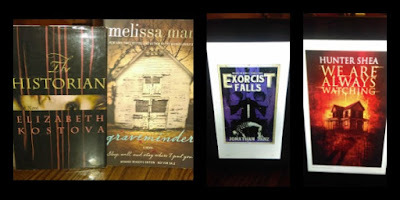 I host six readathons yearly via my blog Seasons of Reading. I host a plethora of reading challenges via my site, Gather Together and Read, and I run two Goodreads book clubs, TuesBookTalk and Lit Collective. I want to read more this time! So, I will try to be less distracted and try to read faster. Good luck!!! I'm starting with Frankenstein this morning. Short and horror-filled I hope! Wohoooo! 8 years of blogging! Soo cool! I started 6 years ago in August! :) Sending a big Hiiii to the other side of the Atlantic! 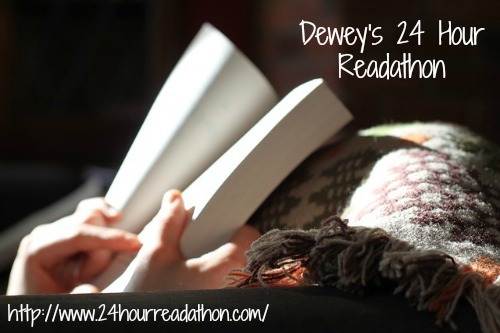 Enjoy the readathon! Have fun today!! I hope you get in lots of reading!! I'm sitting here full of envy for your snacks. I'm taking care of my granddaughter and trying to read while she naps. 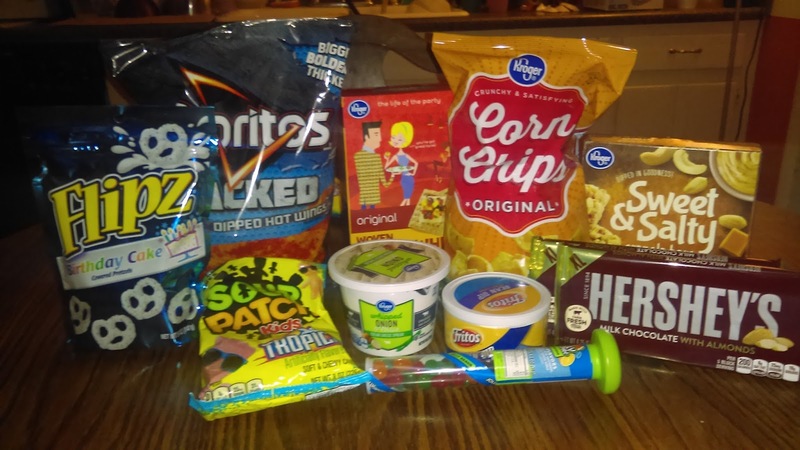 Her parents did not prepare at all for me snackwise. I tried to read The Historian during a Readathon once. It didn't go too well. But then I have no patience.